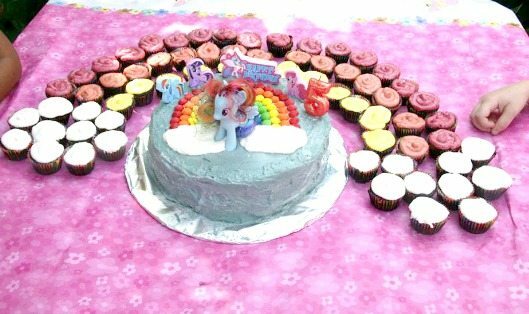 For a fun, themed birthday party idea, throw a My Little Pony birthday bash! Here’s what you can serve for refreshments, plus game suggestions! 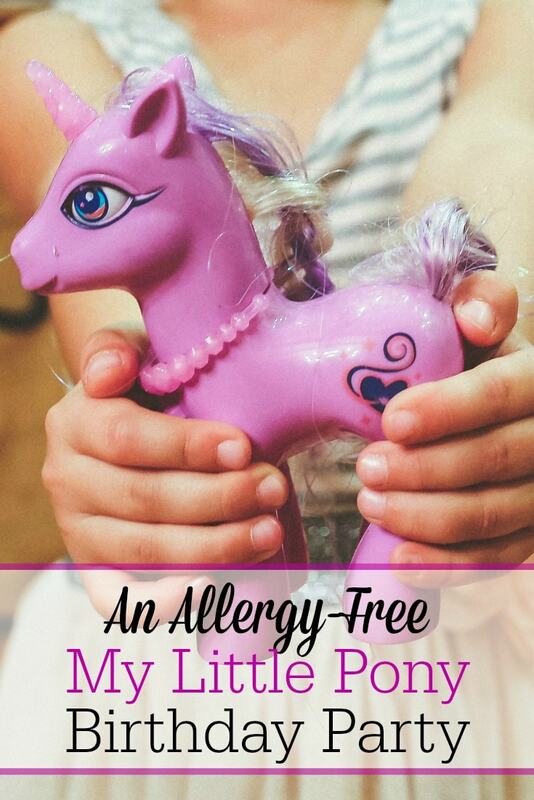 A few weeks ago we celebrated Little Girl’s 5th birthday with an allergy-free My Little Pony birthday party! 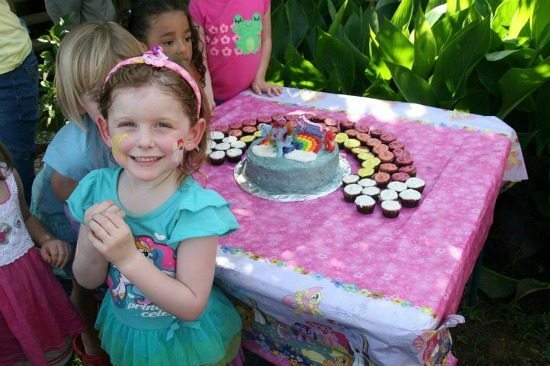 She was über excited, and I was just thrilled that two years after her gluten, egg and dairy allergy diagnosis that we could host a birthday party with food that actually looked and tasted “normal,” where the guests probably wouldn’t have even guessed the ingredients weren’t typical if we had not told them! Here’s what we did for the party! In the past we have either purchased specialty, allergy-free cupcakes from Sweet Cakes or Gluten-Free Mimi, and last year I made a brownie cake. But this year, I really just wanted to be the MOM. 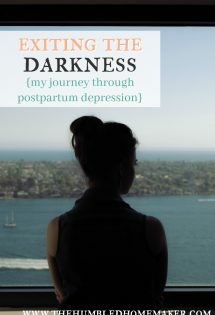 No, not all moms have to bake and decorate their children’s birthday cakes, but this was important to me. I had purchased a cake decorating kit when Little Girl was a year old. In fact, some friends helped me decorate a huge, 4-tiered, 8-layer cake for her birthday that year! I thought I may never use that cake decorating kit again, and it was so much fun to do so! We didn’t want to compromise too much, so I used natural food dyes from India Tree. Next time, I want to try making my own with fruit and veggie juice dyes. But this was a great little splurge, and I felt good knowing the colorings were not full of yucky ingredients. I frosted the cake with dairy-free icing. I used palm shortening from Tropical Traditions and rice milk and compromised for the tastebuds of our guests by using regular powdered sugar (at home we normally use powdered sucanat, but the taste is quite strong if not accustomed to it). As another compromise, I decorated the cake with Skittles, since I am not the best cake decorator (or decorator in general!). Yes, these did have yucky food dyes in them, but we left it up to the parents whether or not they let their kids eat them. Lastly, I made mini cupcakes for the children to eat. I used the India Tree food colorings to mix up red, orange and yellow icing for a mini rainbow and left the rest of the icing white to make clouds at the end of the rainbow that I arranged to go above the cake on the table! We like to keep things simple at our birthday parties. Things can get pricey really fast if you don’t put some limits on yourself! Aldi is my favorite grocery store for buying whole foods on a budget. So, naturally, I shopped there for the party food! I decided to make simple rainbow-colored fruit kabobs. 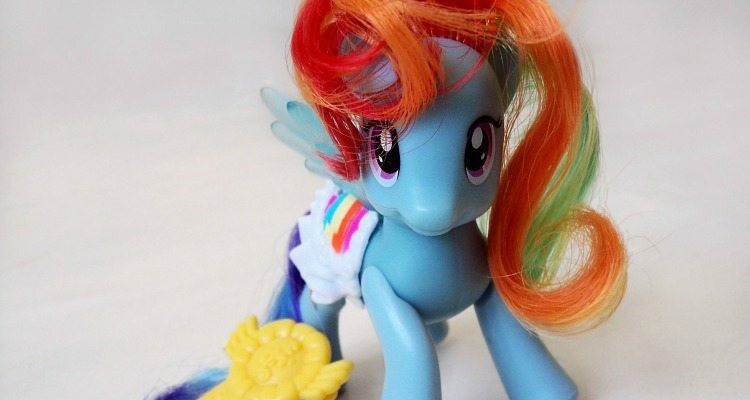 These matched the rainbow on the cake, and the rainbow mane on Little Girl’s favorite pony. It was easy to find fruit to match every color of the rainbow at Aldi. I used strawberries for red, cantaloupe for orange, pineapple for yellow, honeydew for green, and blueberries for blue! 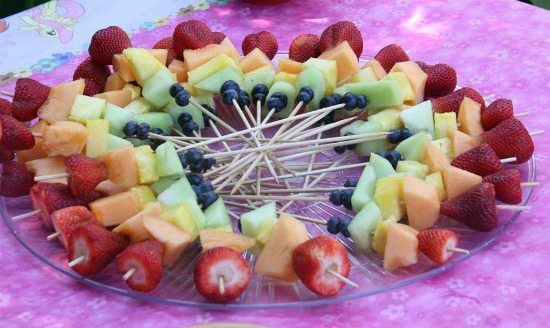 We hosted nearly 30 children plus their parents, and it cost me less than $15 to make enough fruit kabobs to feed everyone! We do not normally keep juice in our home, but for the party, I purchased 100 percent fruit juice boxes for the kids from Aldi and served bottled water to the parents. I am not an artist (if you couldn’t tell from the cake!). I’m just not. But I thought it might be fun to try painting “cutie marks” (the little symbols the ponies have on them) on the kids’ faces. They loved it! 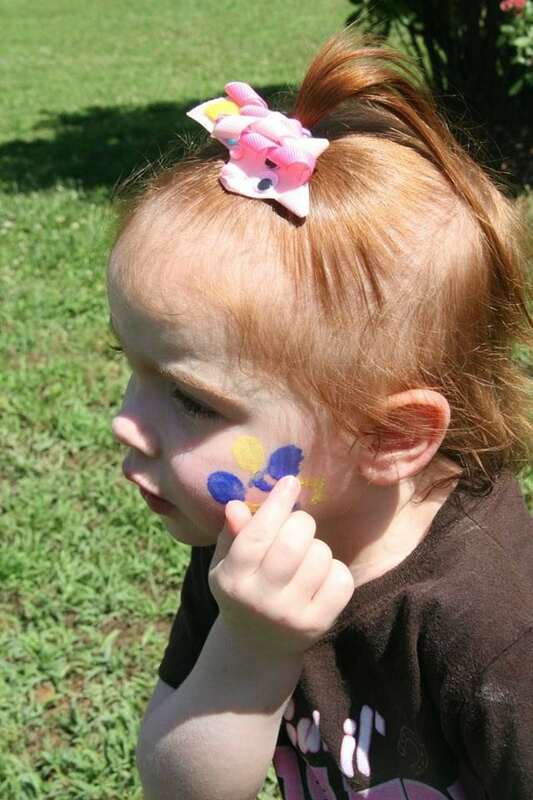 We had so many kids lined up for face painting that one of the other moms volunteered to help me paint! 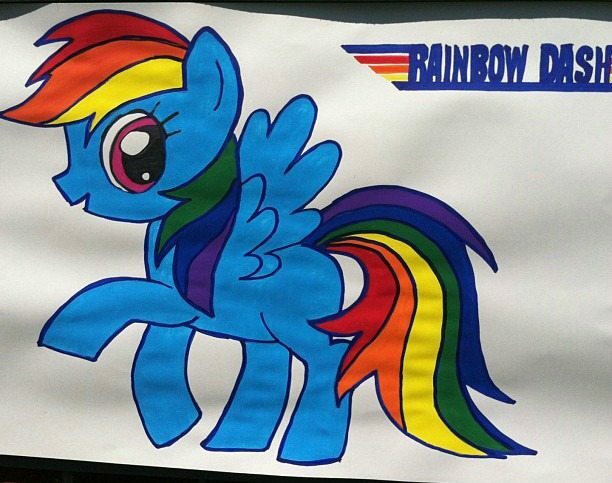 Instead of pinning the tail on the pony, we printed out mini rainbow cutie marks. We blindfolded thekids, and they pinned the cutie marks on the pony! 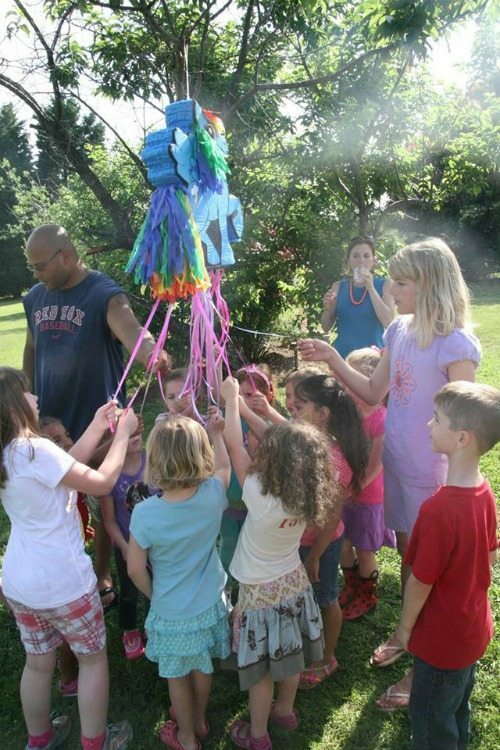 We have always enjoyed incorporating piñatas into our birthday celebrations. My husband is a Spanish teacher, and he and I met while both serving as missionaries in Costa Rica. 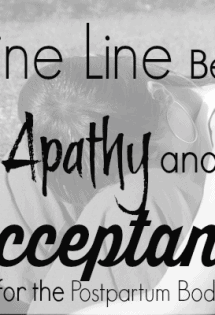 We’re a redheaded family, but we’re Latino at heart! Hubby (or his students) has made our piñatas in the past, but this year we got one from an Etsy shop. 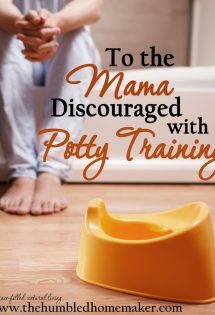 We just love supporting other work-at-home moms! What My Little Pony party is complete without pony rides?! Actually, it would have been just fine without them, but my parents are good friends with a man who owns some Shetland ponies. 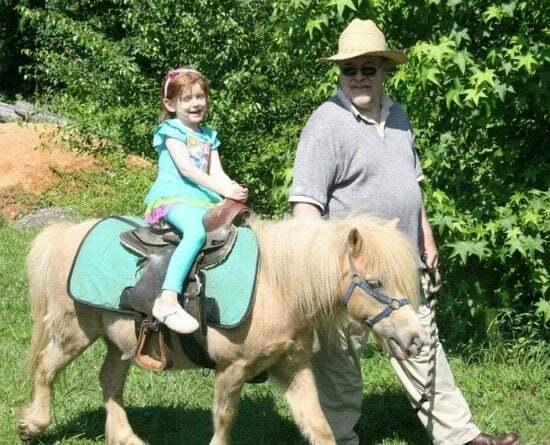 He brought the pony for the kids to enjoy. That pony was the life of the party! Our little girls have been so blessed with both toys and clothes from all of our extended family and hand-me-downs from friends. They really lack for nothing! We did purchase a caterpillar kit, magnifying glass and binoculars for Little Girl because she is at a great age for scientific discovery, and she loves exploring nature, but we did not have her open any gifts in front of the other children. And we asked that our guests not bring gifts. We want to use her birthday to teach her to give back to others. So, instead, we asked that guests bring food items for our local food pantry if they didn’t want to come empty-handed. We were so excited to take Little Girl to the soup kitchen to give back to others! And since we’ve started this tradition early in her childhood, she doesn’t feel like she is “missing out” on gifts from her friends. We also take any money given to her from grandparents, etc. and put it into a college savings account. All-in-all, we had a wonderful time celebrating the 5th birthday of the first little girl God gave us! It was fun to see that we were able to host an enjoyable birthday party even with food allergies! Want some ideas for hosting a green birthday party? Check out this post on how to throw a green birthday party from Emily of Live Renewed! Here are some other simple ways to celebrate a birthday, and here’s an idea for a Pumpkin Patch birthday bash! 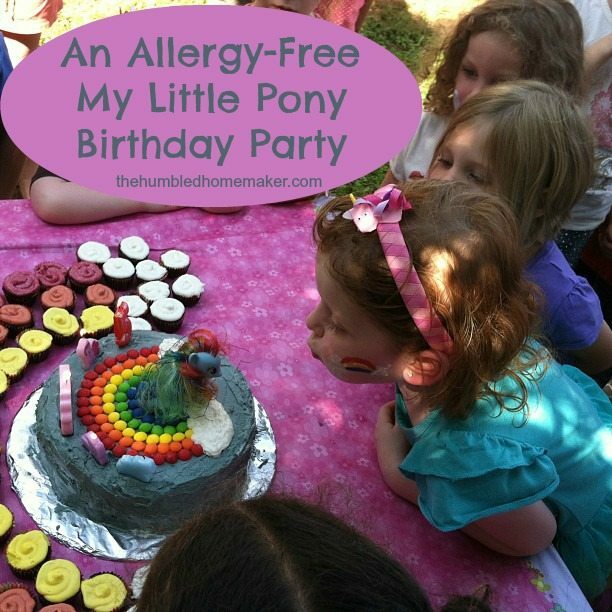 Have you ever hosted an allergy-free birthday party? Do your children have friends with food allergies? Have you ever wondered what to serve them? Needing to plan a party but you’re not a natural party planner? 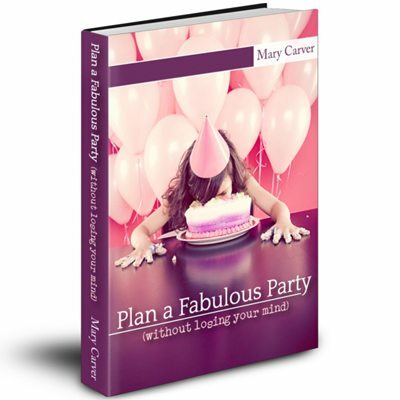 Check out the eBook Plan a Fabulous Party (without losing your mind)! This 50-page party planning eBook comes with lists to keep you organized! I love this!! How did you make the clouds on the cake?